Every new year, there’s speculation on the death of SEO and how it shall affect businesses. Everyone seems to have a great new revolutionary method to improve search rankings for websites. For those who have been in the industry for a long time, the is fact is it’s better to look at the SEO trends than guessing what shall happen. 2016 shall go down as one of the most eventful years in the business. One of the most significant developments was the increased reliance, by search engines such as Google, on Artificial Intelligence (AI). The technology is still in its infancy. However, it surely is going to be among the top search engine trends to look at this year. Mobilegeddon – Where Google confirmed that it had added an algorithm that ranked mobile friendly websites higher. The Possum which was probably the biggest shake-up in local searches in years. The more things change, the more they remain the same, and it’s not different in the SEO community.Rather than search for blogs talking about the latest SEO trends, it’s important to know that algorithms don’t change on a calendar date but as the need arises. Given this, we should expect more of the same emphasis on mobile-driven data as was the case last year. Accelerated Mobile Pages (AMP) is new technology that loads mobile websites faster. Building on their emphasis on mobile devices, we should expect better rankings that utilize this new technology. There shall be an increased emphasis on security on the web. This is not only good for the consumer but may also be important given the current growth of fake websites and even fake news sites. One of the oldest SEO trends and techniques was the use of keywords on domain names. For some time Google has suggested that it is devaluing these types of websites. 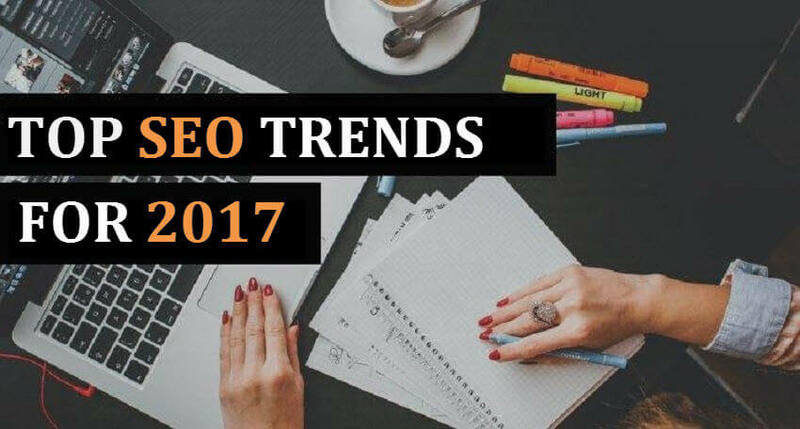 However, it seems it shall be one of the top SEO strategies 2017. It is going to become harder for small business to compete against big brands in the rankings. Small businesses will have to pay more to get their brands noticed. Content strategists will have to come up with new ways to keep the consumer interested in their content while at the same time not boring them to death. The new user wants to get as much information as possible in the quickest way possible. The days of 5000-word articles may have worked in the past. However, everyone seems to have done it, and their effects are less prominent. SEO specialists will have to come up with creative ways to inform users without becoming monotonous. The growth of free tools, free apps, video, and audio can not be over emphasized. With the increased use of AI and especially RankBrain, it shall be critical to organize your site content with Rich Snippets and Schema Markup. Even now, one of the most important SEO tips in 2017 you can get is to implement rich snippets and schema on your site. At this time, you only get an advantage, but it won’t take long before it becomes an integral part of your SEO toolkit. Even with all this remember that the most important thing to do is to please your users. It’s not enough to read about the latest SEO trends, they always change, but your users never leave. As long as you stick to giving great user experience, you will not only survive 2017 but also thrive in the coming years.